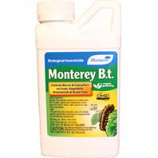 Monterey Lawn and Garden Products, located in Fresno, California, is a distributor of plant protection chemicals and fertilizers. These homeowner products are designed to fill niche markets, and bring to the homeowner professional grade agricultural technology. Kills all stages of most insects including eggs. Pyrethrins and canola oil concentrate. 16 oz. concentrate. 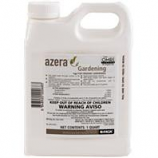 . .
Multi-purpose disinfectant for the control of fungal bacterial and viral ornamental plant pathogens slime-forming fungi. And algae and the odors these organisms may cause.. Use as directed. The pesticide residues of this products are biodegraded by normal soil micro-organisms.. Keep out of reach of children.. Made in the usa. 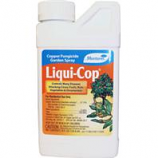 Liquid copper fungicide spray for disease prevention on fruit trees nut crops citrus vegetables and ornamentals. Very economical replacement for bordeaux mixture with an expanded label. Extremely weather proof and does not require oil or a sticker. Replacement for lime sulfur. Made in the usa. 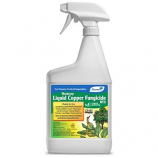 Broadleaf herbicide for residential lawns. 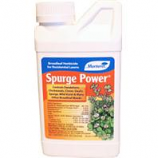 Controls dandelions chickweeds clover oxalis spurge wild violet and many other broadleaf weeds. . . .
Use to control foliar diseases on vegetables fruit and nut trees grapes turf & ornamentals. 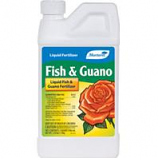 . . . .
A concentrated fertilizer from liquid fish and bird guano. 9-6-2 high analysis fertilizer. Excellent for houseplants and outdoor ornamentals. 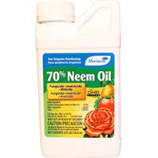 Can be applied as a soil drench or foliar spray. .
Omri listed for organic gardening. 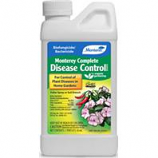 A broad spectrum insecticide miticide and fungicide that controls numerous diseases as well as insects and mites. Use on vegetables fruit trees ornamentals etc. Made in the usa. . 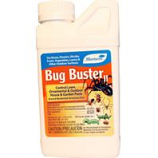 Kills catepillar-type insects but has no effect on birds earthworms or beneficial insects when used as directed. For use on fruits vegetables ornamentals and shade trees. Can be used on edible plants up to the day of harvest. Omri listed for organic gardening. Made in the usa. 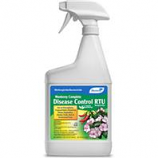 Quick knockdown with residual control contains a synthetic pyrethroid insecticide. Spiders roaches ants crickets and other insects outside the house are controlled. Also controls aphids caterpillars leafhoppers and other insects on vegetables ornamentals and fruit trees. Odorless and non-staining. Made in the usa. Bacterial product produced by fermentation can be used on outdoor ornamentals lawns vegetables fruit trees and more. Can be used to control fire ants in lawns and other outdoor areas. Fast-acting and odorless. Contains spinosad. Made in the usa. 3-5-4 Nutrient Solution for Hydroponic and Indoor Gardening. 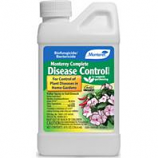 Combines with Monterey Nutrient Solution Step 2 to create a nutrient package for plants in all growing mediums. When combined the two become a nutrient package for all types of plants in all stages of growth. . .
Use to control sprouts and sucker growth on apples olives pears non-bearing citrus and ornamental woody plants. 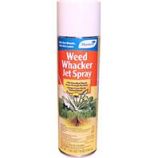 Spray on the base of plant to control regrowth of suckers from roots and pruning wounds. . . . 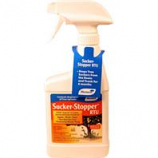 Kills pests through contact or by ingestion. Quick knock-down and kill. Kills larval pupae and adult stages of insects. 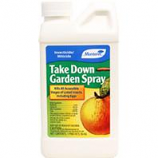 . .
Controls many diseases attacking citrus fruits nuts vegetables and ornamentals.. For residential use only. . . . Apply during growth for stronger plants. Foliar nutrients solution to be used as part of a balanced fertilizer program. . . . Formulated for the prevention and correction of micronutrient deficiency. Foliar micronutrient solution to be used as part of a balanced fertilizer program. . . .
3-0-0 formulation for hydroponic and indoor gardening. Combines with Monterey Nutrient Solution Step 1 to create a nutrient package enhanced with calcium. . . .
To enhance microbe action and prevent and correct deficiencies. . . . . Improves leaf erectness. Provides resistance to heat and drought. . . .
Control of broadleaf weeds. 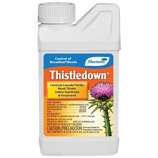 Controls canada thistle musk thistle yellow starthistle and knapweed. . . .
For control of bermuda grass kikuyugrass and broadleaf weeds in cool season lawns. . . . . Kills the weeds not the lawn. Kill broadleaf weeds down through through the root. Unique foam marks treated weeds. . .
Potassium humane extract. 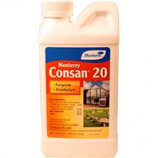 Supplies organic matter in a readily available easy-to-use and effective solution. . . .